Plot: Lost in the fog on a lonely road, a stranger seeks refuge in a nearby house, only to find himself stumbling on to the scene of a murder. When the dead man’s wife confesses to the murder of her despised husband, the stranger agrees to provide her with an alibi. But who is he really protecting? And in a house full of suspects, whose are the unidentified fingerprints found at the scene? I have a confession to make. I have never read an Agatha Christie novel. Ever. Well, it’s not really the same as not having read any Shakespeare. (Oy, did I just make another confession?) Back to Christie, if it’s worth anything, I’ve always wanted to read her work, I nearly bought a set of all her books in a second hand bookshop when I was in Broadstairs two years ago. I have seen a few episodes of the adventures of both Hercule Poirot and Miss Marple on telly but that was about it really. Credited as one of Agatha Christie’s most mischievous and chilling whodunnits, The Unexpected Guest is filled with all the suspense, intrigue and surprise twists that make Christie one of the world’s best loved authors and the undisputed first lady of crime. The all-star cast is led by Emmerdale’s Susan Penhaligon and is joined by Ben Nealon (Soldier Soldier), EastEnders favourite Dean Gaffney, Derren Nesbitt (Where Eagles Dare), BBC and MTV star Richard Blackwood and two of the company’s most talented and versatile performers, Mark Wynter and Virginia Strid. The Agatha Christie Theater Company is doing their second UK tour, this time with The Unexpected Guest playing at the Hackney Empire and I got quite an unexpected surprise (pun intended). Without wanting to give the plot away, I have always had a theory that in most mystery books or films, the tendency is to bet on the one that you least expect and you’re right on the money, and I was. Having treated for the first time to a full on Christie play, all the actors gave a commendable performance but I wasn’t quite keen about the stifled laughter elicited via Blackwood (Angel) and Gaffney’s (Jan) performances. Nevertheless, it had been quite an entertaining evening and it looks like I might just go and see The Mousetrap at the West End one of these days. 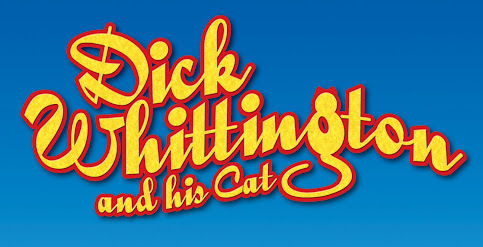 Playing at the Hackney Empire until 03 November.